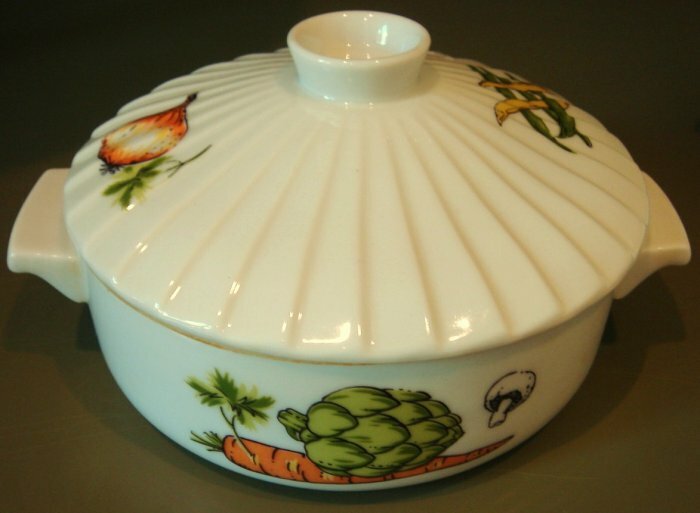 I am listing some oven to table decorative porcelain baking dishes---this piece and individual au gratins. They both are white glazed and feature vegetable designs. This is the individual casserole bowl with lid. 7" from handle to handle x 3 1/2" deep to top of lid. Condition is excellent with no chips, cracks or breaks.